Our military relocation company upholds the best level of service possible for our respected service members. To prove it, we are government-regulated and military-approved, meaning our military movers understand what it takes to offer relocation solutions that adhere to the strict guidelines set forth by the United States government. Every quarter, we are randomly inspected by Federal authorities in order to ensure that our facilities and services are up to government standards and codes for military moving, warehousing, and storage. This process includes an inspection of our extensive guidelines that we must comply with in order to be approved. With military approval, we couldn’t be prouder to help all of the service men and women of America, and our military movers can help you to execute your next relocation quickly. 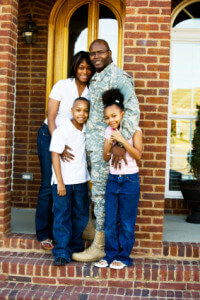 Our military movers are waiting to provide you with easy relocation solutions. Contact All Around Moving & Storage, your military moving experts, at 734-941-2280.